this is the first scent by Bond that I ever smelled. a friend of mine had it and I never smelled anything quite like it. so peaceful and clean. Heaven must smell like this! This beautiful fragrance found me as my son and were walking through a department store in NYC on our first visit there three years ago. I have been wearing it ever since! It is on my Christmas list each year. I get so many compliments and I can’t imagine giving it up. My husband gave me this fragrance a number of years ago, and I am finishing my third bottle! I get compliments all the time ! Don’t think I’ll ever change!! I have been using this scent forever and a day! I absolutely love it! This scent is unlike anything else. I absolutely love it. I have been wearing it for years and always get compliments! I fall in love with scent of peace the first time i smelled it and can't stop wearing it on buying the perfume. I truly love the divine scent. 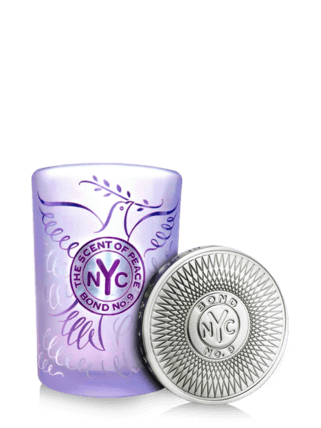 i have been wearing scent of peace since it was first introduced and absolutely love it. living in florida, it is great year round. wish you still allowed nordstrom to carry it though. I love this perfume so much! Very fresh and feminine but not strong! The Scent of Peace is one of those fragrances that just make you smile. And isn't peace all about that? A smile is all you need. What causes this instant smile? The black currant with its tart and dark fruitiness meets the exotic freshness of Grapefruit, together they make a lively and inviting pair. To avoid the tart fruits from taking over, Bond uses the aroma of the most fragile of flowers, the Lily-of-the-valley. 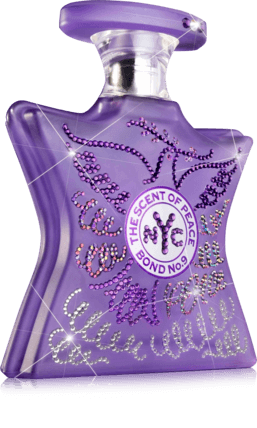 It has a green floral scent, that perfectly fits into the composition of The Scent of Peace. The overall smell is fresh, green a little floral. What makes this scent even more special, is the way all the previously mentioned notes are made soft and fluffy by using white musk. This particular soft feeling fits a Peace themed fragrance to a T. Wonderful! This has been my fragrance for 8 years since I got a whiff on a colleague. Coincidentally, my sister living in another state discovered it and fell in love at the same time! 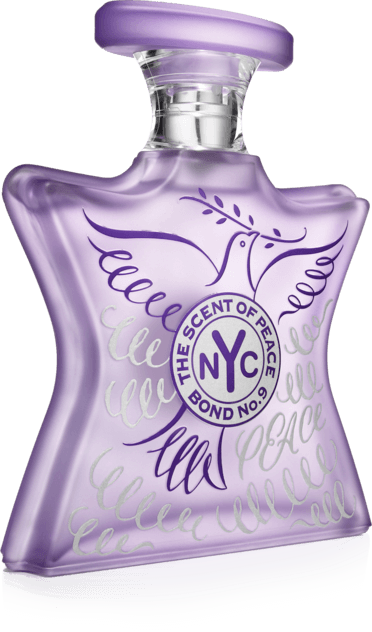 I received the scent of peace as a Christmas gift 2015 and the smell is absolutely amazing!! My significant other gets chills when he smells it! I would recommend it to everyone! !